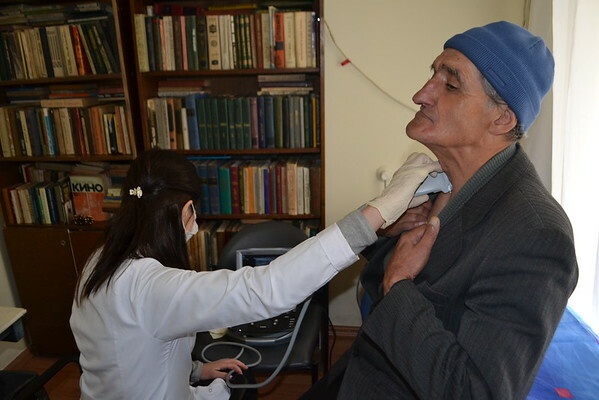 Hroush Mehrabyan couldn`t remember the last time she`d had her thyroid checked. 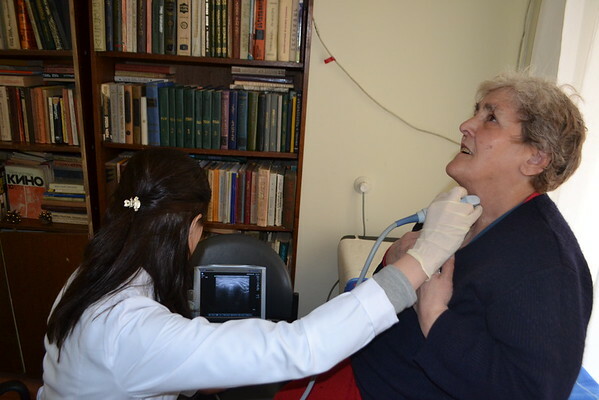 “I have not done such a thing for a very long time,” said the 58-year-old resident of Vanadzor Old Age Home (VOAH) as she prepared for a sonogram. She was met with relief. “Everything is all right – normal. You don’t need to worry,” Dr. Irina Kirakosyan said to Hroush, the first patient of 50 she examined during her visit. 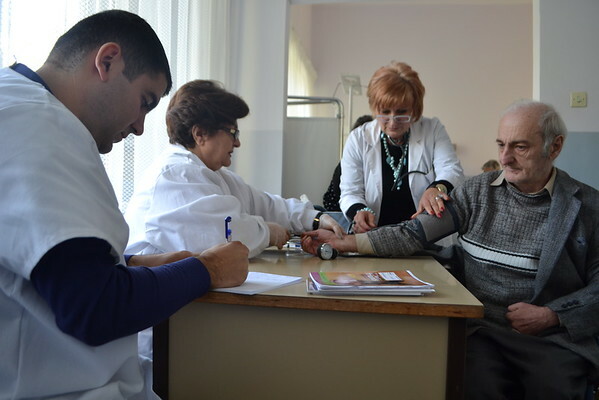 Conducted by physicians from the Armenian-American Wellness Center, the medical checkups were initiated by Lousia Baghdasaryan, the VOAH liaison from the Women’s Guild Central Council at the Eastern Diocese. Ms. Baghdasaryan even assisted the doctors with their exams; VOAH`s staff nurse Amalya Davtyan also helped to facilitate the visit. All residents were able to have their blood pressure checked in addition to their thyroid sonograms. Female residents were also able to get mammograms. While no signs of cancer were detected in any VOAH residents many were found to have issues with their thyroid glands, which cause them to have health problems. 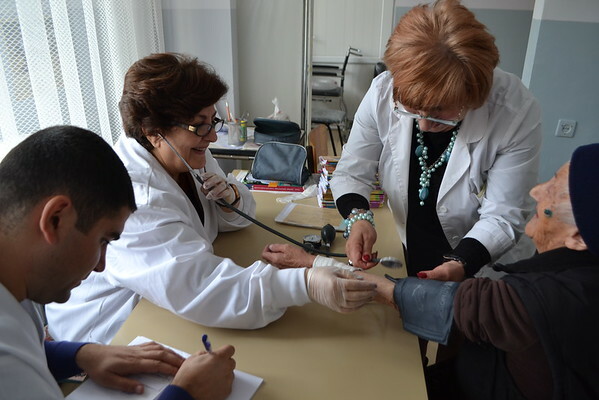 Following the exams Ms. Davtyan worked with the Wellness Center`s staff to come up with treatment plans for everyone with health issues. VOAH is a FAR project that has been sponsored by the Kevork and Sirvart Karamanuk Foundation for about 20 years. This particular initiative was made possible by the generous support of the Armenian-American Wellness Center which was founded by prominent Armenian-American philanthropist Mrs. Rita Balian.